Thirty-four readers love this post. The Phoenix Down- this magical item is best known for its restorative properties. It is able to bring back those from the brink of death. Or that’s how it works in the Final Fantasy video game series. This brings new meaning to the expression, pick-me-up. After a few lengthy attempts, I believe I have been able to make something that’s worthy of this legendary cure-all. Through what was an abysmal humid summer full of rain, I fantasized about autumn swooping in to save me with spiced drinks, cooler weather, and the promise of enjoying a comfortable outdoor fire. I also can’t forget the fun and excitement of Halloween. I really needed something to raise me back up from the puddle I had become. So I decided to give myself a project that would hopefully be finished by Fall. I wanted to make something that can be incorporated into a cocktail or just as easily enjoyed on its own. With that in mind, I decided to make a spiced whiskey perfect for the whole season. My basic model was that of the popular Fireball Whiskey, but since I didn’t want something that tasted like Big League Chew I opted to make my variation different. My focus was for traditionally Fall flavors like a nice mulled cider. I wanted flavors that played well with one another, so I bought cinnamon sticks, hazelnuts, figs, dried chili peppers for heat, and honey for a little bit of sweetness. For an added depth of taste, my base alcohol was rye whiskey. Rye has always been one of my favorite types of whiskey because of the notes of spice in taste and aroma. My first attempt was by far the worst, as I added way too many chili peppers. It was so strong I could probably use it as insect repellent. Now that I knew not to use a literal bunch of these fire bullets, my second attempt yielded a better result but I still didn’t get the full impact of spices that I wanted. As I was looking at my notes, I thought to change things up a bit. I used black figs instead of green figs, darker honey instead of gold, half of the chili pepper, and for rye I used Bulleit. Previously I had been using Canadian rye whiskey instead since it was lighter on my wallet. If there’s one thing I learned throughout this process it’s that you can’t always go with cheaper ingredients. Quality ingredients make a quality product my fellow adventurers. My third attempt with the second version of this recipe finally gave me what I wanted. The delicate aromas of cinnamon, vanilla, and honey are more than enough to bring your party members to life. That first sip hits you with the fire of life and then brings you comfortably back down with the heart warming flavors of honey, cinnamon, and hazelnuts. Do you think Barret will let me join Avalanche now? Want to make this for you and your main party? You’ll need the following ingredients and list of items. Don’t worry, this side quest is totally worth it. You don’t even need to breed chocobos to get it. Start by cutting your figs in half. Now gather your cinnamon sticks, hazelnuts, figs, and put them into the empty mason jar. Add your honey to the ingredients and fill the container with the whiskey. Gently agitate the contents of the jar to get it started and put it in a cool dark place. Set a reminder for yourself to occasionally agitate the ingredients every other day to help with the infusion. One week later, check on the whiskey and add your chili pepper, gently shake the jar again, and go back to leaving it alone. A few days later, you can now take the jar out to drain (you can also wait the full week if you wish to give it a little more time to infuse). Strain your ingredients into a mixing bowl or another container using your mesh strainer. Once you’ve sufficiently strained your ingredients put your spiced whiskey into a clean bottle. All you have to do now is take a sip and enjoy. If you hear a mysterious victory fanfare, that either means you succeeded at making this delicious drink or you defeated a monster. Either way, enjoy it and remember if you run out you can always make more. Drink responsibly fellow Drink Nerds. 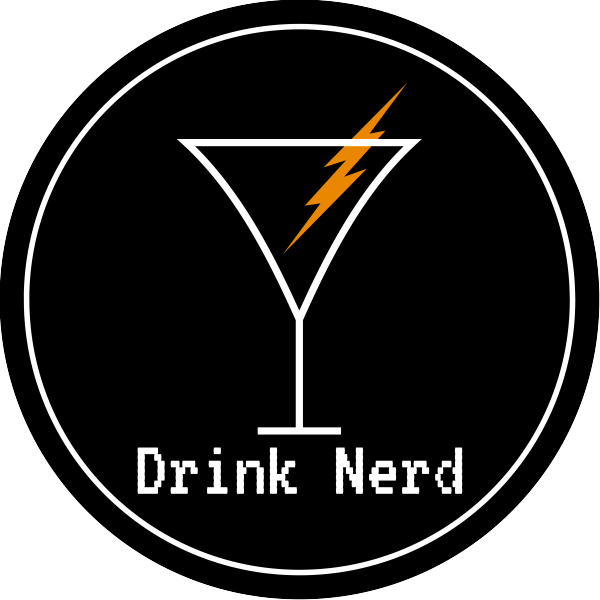 Drink Nerd brings nerd culture to the home bar. 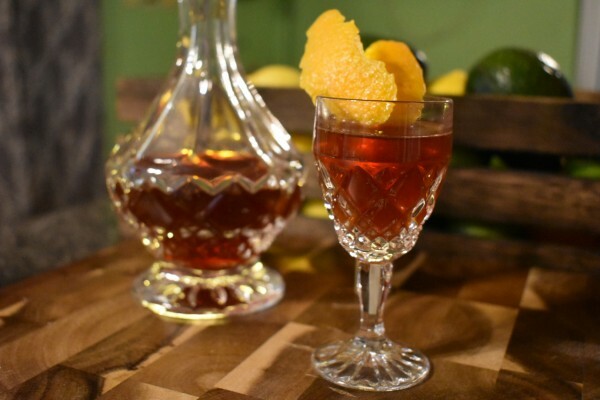 If you’re looking for classic cocktails with a fun nerdy spin, then keep on reading fellow Mixologists! I use my extensive knowledge of liquor/brews, comics, video games, and literature to create new concoctions or pay homage to your favorite classics. When I’m not experimenting in the drink-lab I review local distilleries and breweries to see what’s new in the world of booze.